Although it is a special experience sailing the Adriatic alone or with your closest friends, experiencing its beauties with your colleagues and business partners can be a completely new challenge. This is especially true for those who are contemplating something like this for the first time. 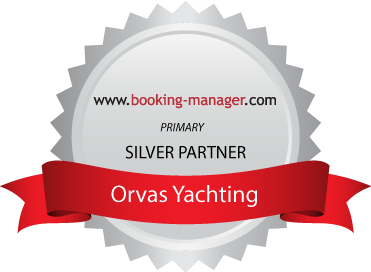 Whether it is your first team building experience or not, Orvas Yachting is ready to provide an unforgettable social experience on board our yachts, gulets or motor boats. Exchange your work space for a beautiful yacht or gulet and the crystal clear Adriatic. Transform your tedious business conversations into more pleasant ones through socialising and the challenges offered by the sea. Since ancient times, unity of spirit has characterised the sea and fearless sailors, and our team building programme offers co-existence with colleagues and with nature. So Croatia sailing or Croatia cruise is the perfect choice for building the team spirit of your work environment. Not only will you have an opportunity to prepare your team for new business challenges, but you will become a part of a recognised sailing and maritime tradition. Depending on the goals you have set for your team, we offer two options. Croatia sailing is a more active and physically demanding type of team building, with plenty of real challenges. On the other hand, if you choose Croatia cruise, leaving the sailing responsibilities to the crew, you can dedicate time to yourself, your team and the goals you have set. Along with Croatia sailing as a team building experience, we also offer activity excursions such as rafting, canyoning, canoeing, trekking, hiking, rock climbing, paintball, horse riding, and the chance to go back to the past together, socialising over traditional Croatian and Dalmatian food and games.